The official site for Dragon Quest XI: In Search of Departed Time has been updated with new details on a couple of the game’s new systems, Skill Panels and the Spell of Resurrection (translations via Gematsu). Both systems are new mechanics shared across and interchangeably between the imminent PlayStation 4 and 3DS versions, releasing in Japan this July. 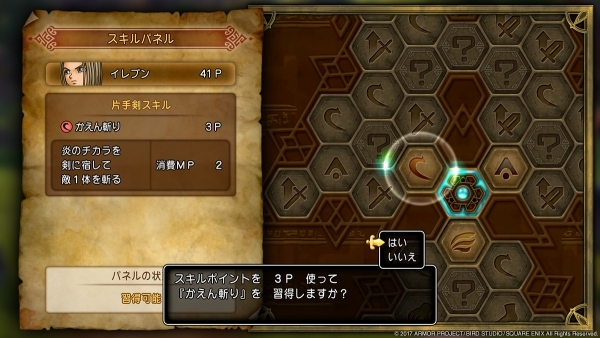 The Skill Panel system works in a similar vein to other RPGs, wherein each character in the party has skills and stat increases as you level up. Such unlocks are earned via Skill Points, themselves earned on leveling up in battle. Other panels may be weapon-based and character-specific “Hero” skills, and each character has their own unique Skill Panel. As to the Spell of Resurrection, this mechanic is the conduit to sharing player progress across the PS4 and 3DS versions. The password you enter carries across your player character’s name, level, money, gear, and story progress to another platform. 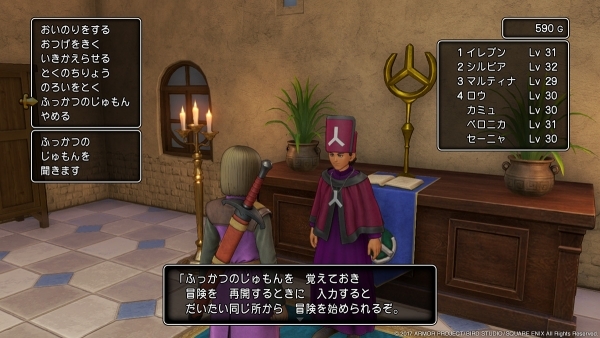 Keep in mind the Spell’s information will replace what is in another copy of Dragon Quest XI relative to your story progress. 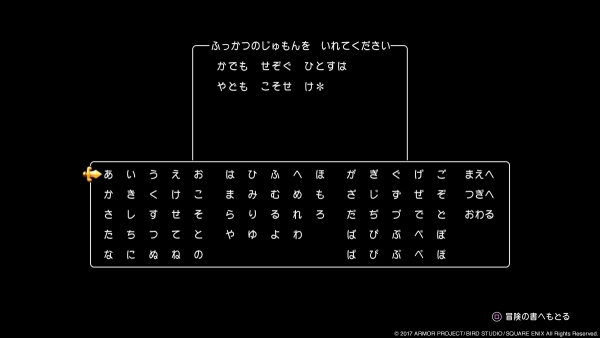 The Spell of Resurrection bears a striking resemblance to the password systems of both Dragon Quest‘s I and II. Dragon Quest XI is due in Japan on July 29th on both PS4 and 3DS, including a limited edition bundle that includes both versions. A Nintendo Switch version is due for release sometime afterwards. Next Post:Unholy Night: The Darkness Hunter Comes to… SNES?!? !